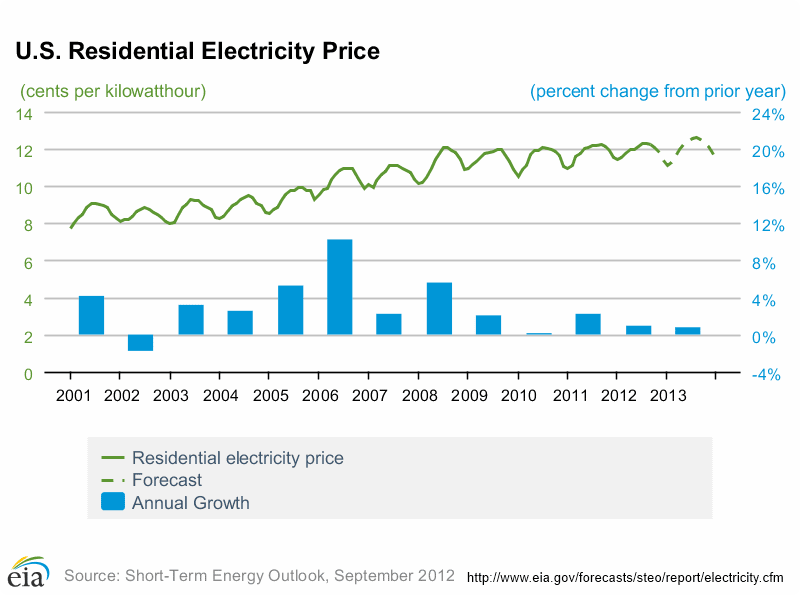 When we lived in Massachusets/US, the price per kWh was between 16 cents and 22 cents. 12 cents is the cheapest tariff you can find in the US. But it's true that they decoupled the earnings for retailers from the amount of kWh they sell. The Australian Industry Group, Brotherhood of St Lawrence, Choice and the Energy Efficiency Council have jointly commissioned a study on power prices. 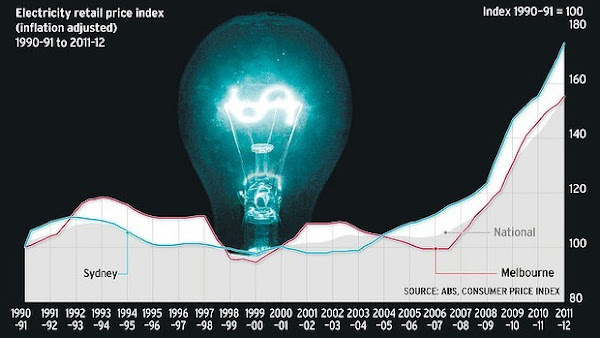 A quarter of electricity costs are driven by "super peaks" - typically a few very hot or cold days when power consumption surges during peak periods. The cost of extra infrastructure, both generation and transmission capacity, to deal with these peaks has pushed up power bills. A key proposal is to reward consumers able to cut demand in these peak periods; To enable consumers (both businesses or households) to sell "demand response" to the wholesale market during times of super peak demand.